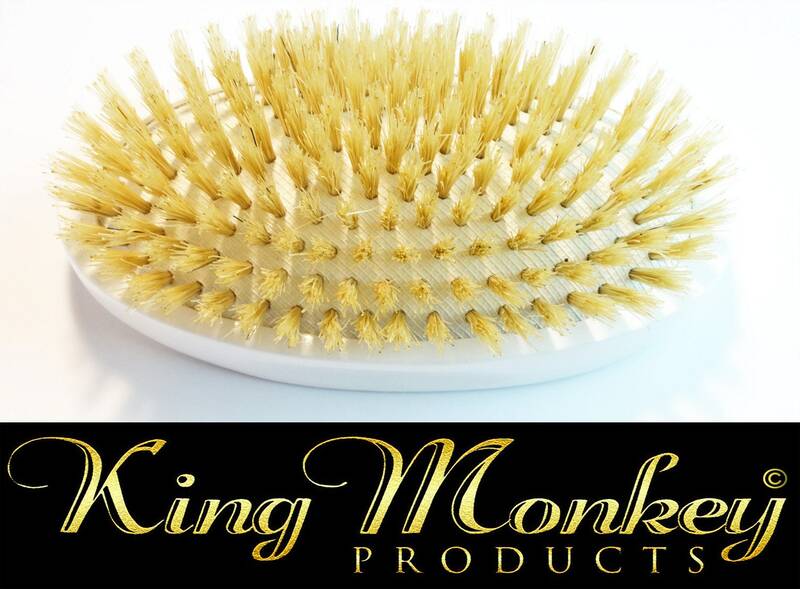 Beautifully Made King Monkey Products Model#1776 100% Natural Boar Bristle Cushion Hair Brush is perfect for promoting Healthy Strong Vibrant Beautiful Hair. 1776 is ideal for Extensions Wigs Weave Natural or Synthetic Hair 360 Waves Beards and more. 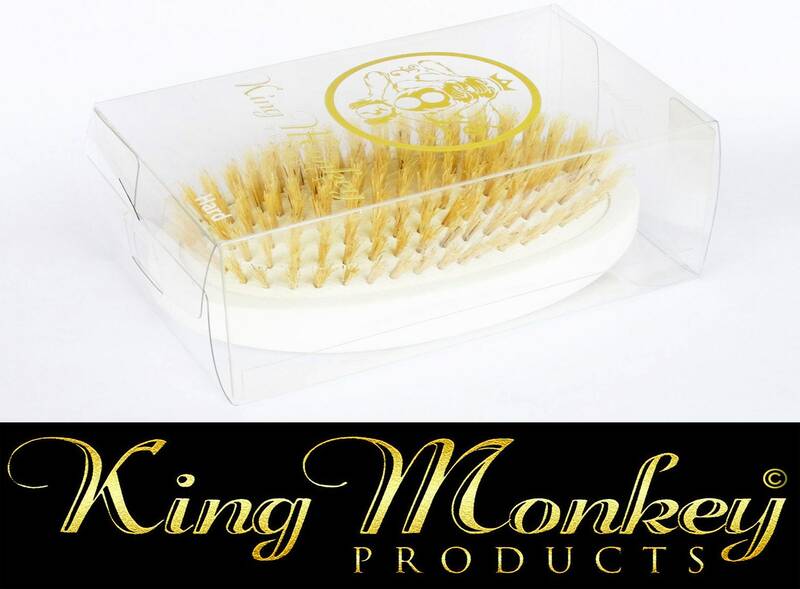 Top Quality Asian Boar Bristles perfect for releasing Natural Oils promoting Healthy Vibrant Beautiful Hair. Most Hair Brushes are made entirely of Wood, which is great until the brush becomes wet and the bristles moldy from improper cleaning. 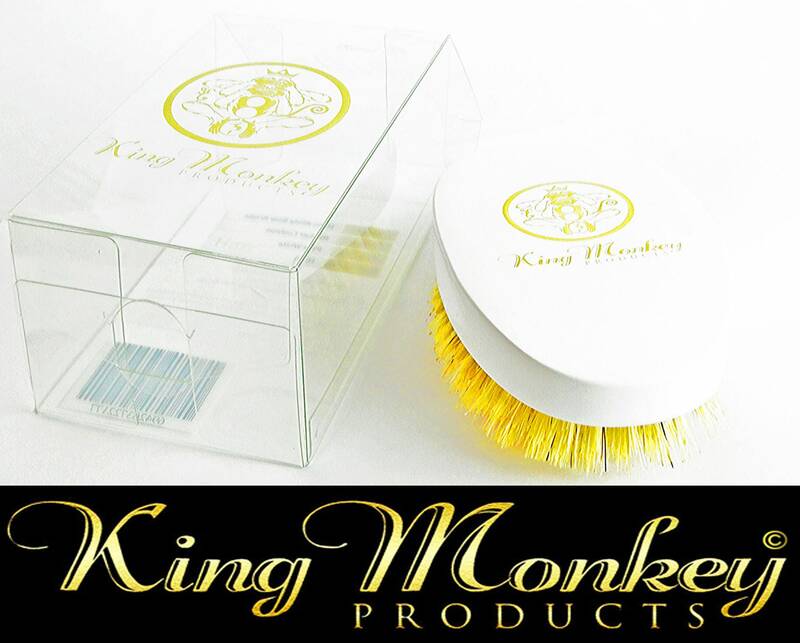 Affecting the quality of the brush ultimately, one of the reasons you will love the new MODEL #1776 by King Monkey Products. King Monkey Products Model 1776 is also excellent in the shower. Manage and detangle wild hair while in the shower washing your hair. Take with you to the gym or the business meeting overseas Also Great to travel only 3.0 ounces (Brush Only). Works Excellent for wigs, hair extensions, oval shape fits comfortably in hands. Whether You Have 360, 540, or 720 Wave Pattern, Model 1776 Penetrates Deeply for Consistent Waves. Take on a Business Trip or The Gym. The Brush-Along Weighs Only 3.0 ounces Great for Long Distant Travel. A Great Gift Package for Him or Her - Beautiful Universal Packaging Box Designed For Both Women and Men. 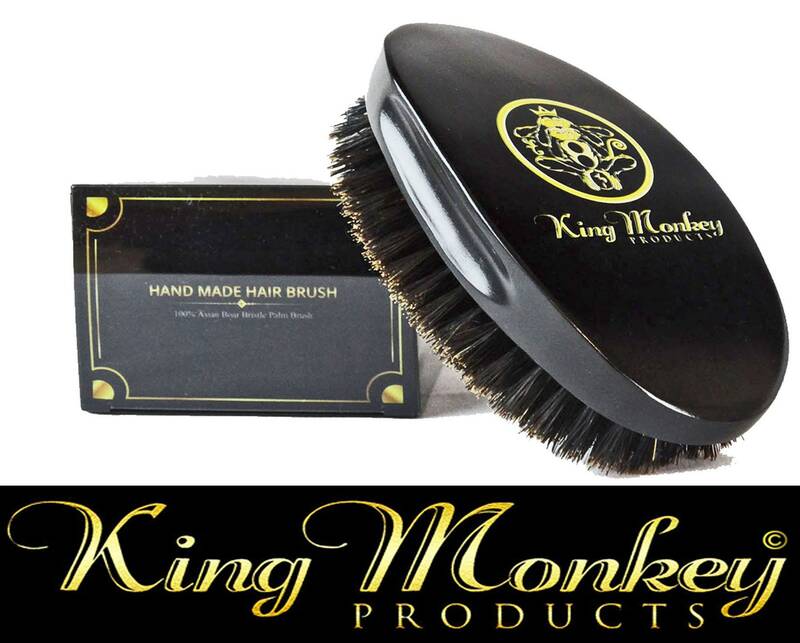 King Monkey Products Model# 1776 Is Perfect for Beards; Rubber Cushion Padded Easily Contour to Face Comfortably. will ensure you that the quality and life of the bristle will outlive the wood in comparison. 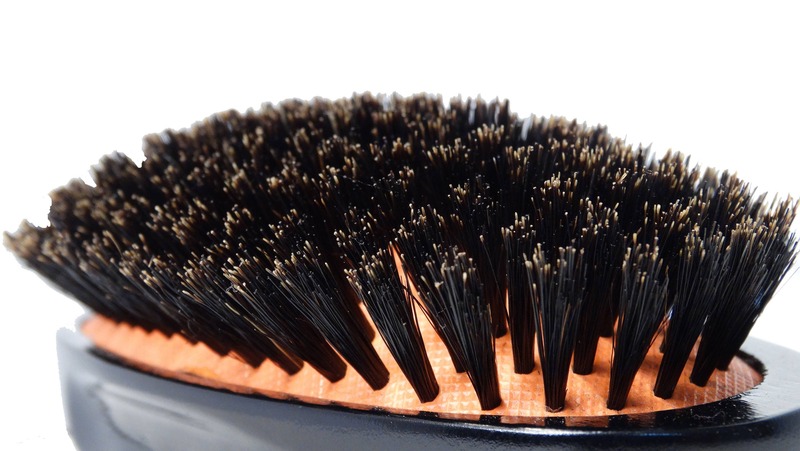 The most important part of any high-quality hair brush is the quality of the bristles. Moreover, Boar Bristles are the BEST! 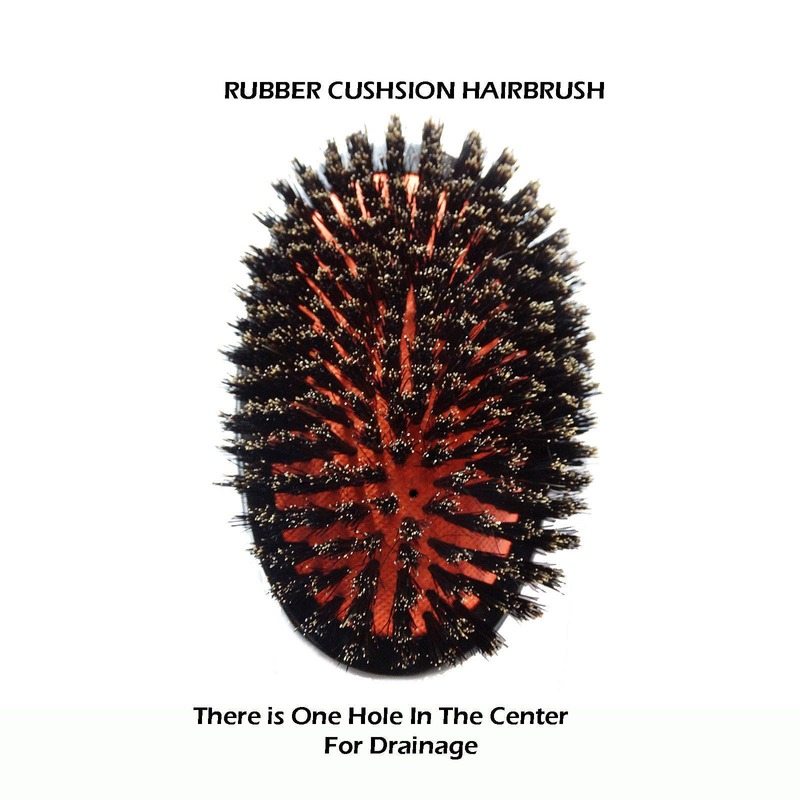 Rubber pad eliminates static associated with excessive brushing and mold. 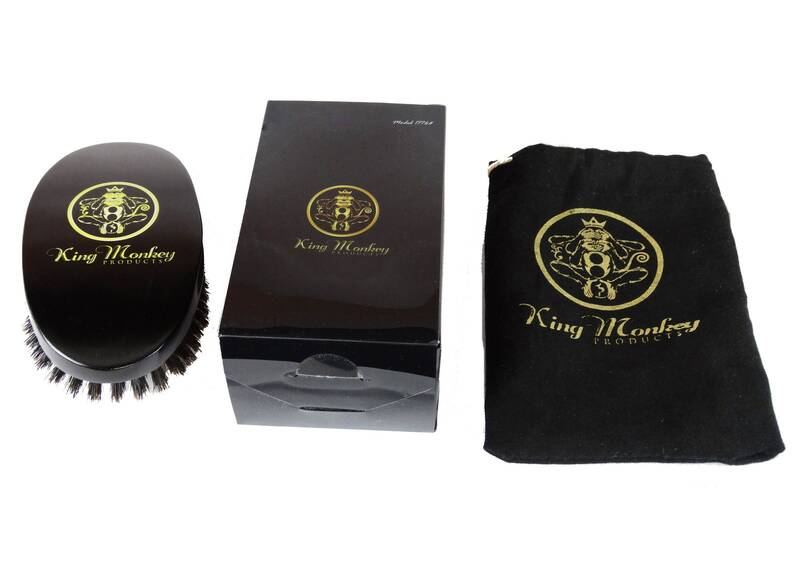 Natural Black Asian Pure Boar Bristles are perfect for massaging the scalp releasing natural oils promoting healthy hair growth. 1 - 3oz. 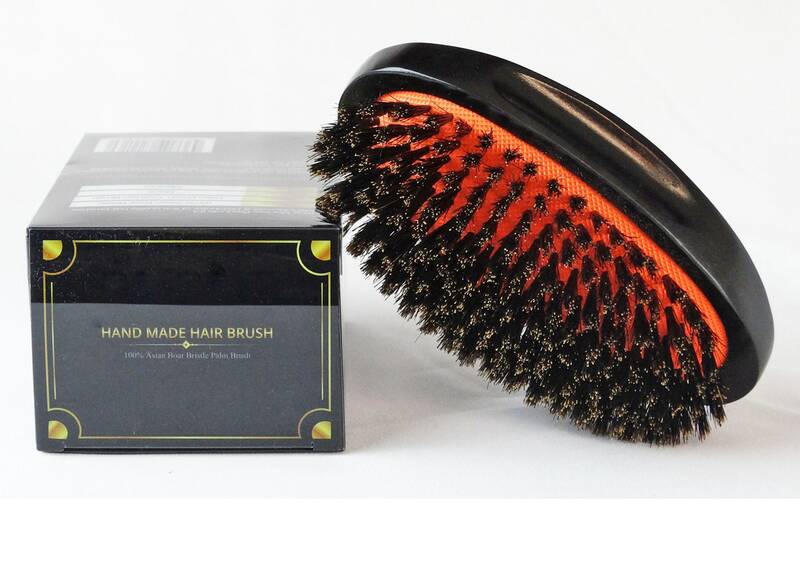 Travel Size Black Oval Medium Palm Cushion Boar Bristle Hairbrush - Logo. 1 - Decorative Black Packaging Box - Logo. 1 - Small Black Velvet Bag with cotton drawstring - Logo. Easy Cleaning, add mild detergent and scrub lightly and rinse with warm water. Use a small comb to remove dirt and loose hair. Allow the brush to air dry for 24hrs before storage. Please Note: Do not boil or use in harsh or extreme conditions. THERE'S ONE BRISTLE MISSING IN THE CENTER OF BRUSH. IT IS NOT AN ERA; THE HOLE IS FOR DRAINAGE AND AIR CONTROL. LET AIR DRY AFTER EACH USE AFTER (WASHING OF HAIR ETC..) FOR 6 HOURS BEFORE STORAGE (PURSE, GYM BAG ETC...). We Stand Behind or Customers 100% as Well or Brand. If there's an issue with your purchase contact us for a full refund, NO QUESTION ASKED!! ONE BUSINESS DAY TO PROCESS THE ORDER BEFORE SHIPPED AFTER THE ORDER IS PROCESS AND RECEIVED 3-5 BUSINESS DAYS EXCLUDING SUNDAYS AND HOLIDAYS BEFORE YOU RECEIVE YOUR ITEM. 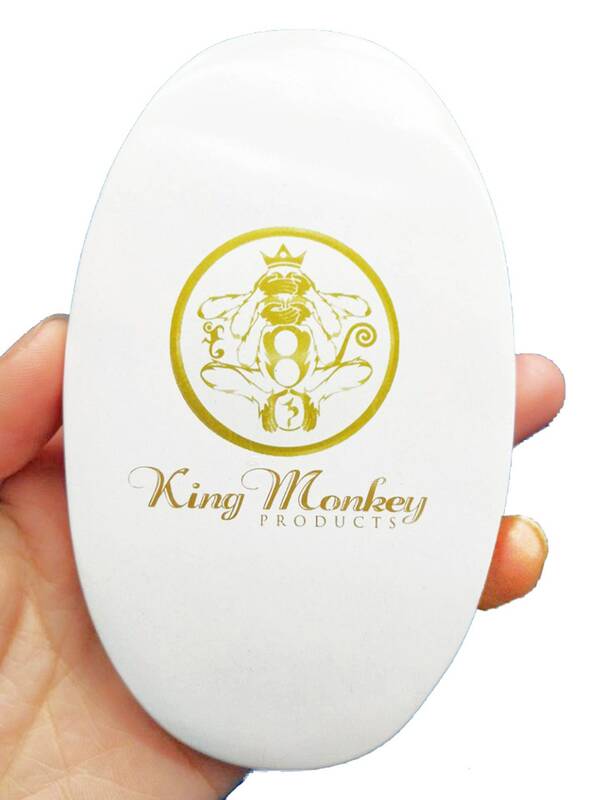 Our goal at www.kingmonkeyproducts.store is to make your shopping experience safe, convenient and worry-free. Arrived on time and as advertised... A lil softer than I expected but still a great brush.